We see this year from the government to the farmers ,from the enterprise to the user , the important role of agricultural machinery in the national food production and rural development in the modernization of both a more profound understanding of agricultural machinery can only rely fundamentally solve the "Who to farming , how to farm," and more comprehensive understanding . 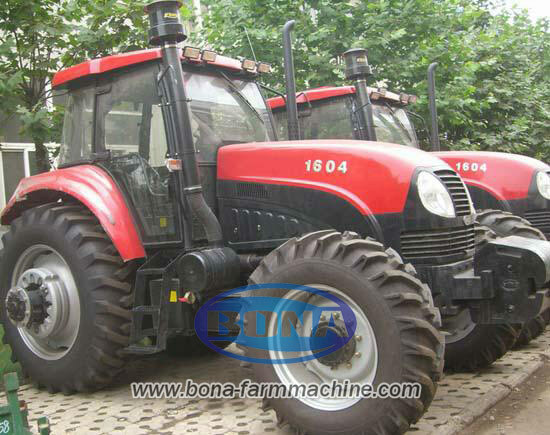 Rely strongly promote the growth of market demand and rigid policy,China 's agricultural machinery industry for ten consecutive years of double-digit growth, has become a veritable farm machinery manufacturing country. 2013 , the global agricultural industrial output is expected to reach 96 billion euros , of which China accounted for approximately 45% of the world's agricultural output value , ranked second in the EU accounted for about 30% , ranked third in North America by about 20% , China Agricultural Machinery industrial development, attracting world attention . Equipment manufacturing industry level, quality level of protection,tractor supply company service levels have a gratifying improvement. A large number of enterprise equipment manufacturing capacity and lean production management capabilities have a very significant progress , driven by industry-wide upgrade to a modern manufacturing industry from traditional manufacturing pace. Industry-wide industrial structure and product structure optimization, industry concentration has been further improved. At present,China Agricultural Machinery Industry Association has awarded 41 parts enterprises industry leaders title, and support them bigger and stronger. Parts of agricultural branch of the newly formed Agricultural Machinery Industry Association also actively promote technological progress and industrial upgrading components. In 2013 , the club held the first summit in agricultural parts,promote the coordinated development of the host companies and parts of enterprises, promote agricultural supply chain upgrade. 2013 ,agriculture tractor power shift technology,cotton picker head manufacturing process, after harvesting machine drive axle , hydraulic bridges core components has been a major breakthrough. Foreign agricultural enterprises to seize the Chinese market continue to increase the intensity . Development of foreign-funded enterprises in China are now mostly owned , with its technology, brand, management and other resources in the high-end market in China accounted for an absolute monopoly position. China Agricultural Machinery Industry Association believes that it is necessary to support and encourage foreign brands to enter China, but also to great attention and efforts to promote the development of China's agricultural machinery industry 's self , which is the industry to maintain healthy and rapid development of an important task. In the future, China Agricultural Machinery Industry Association will enhance research and guide industrial aspects of autonomy . Other domestic industries, various types of capital investment enthusiasm for growing agricultural industry,attention increasingly powerful companies to join, is conducive to the subsequent growth of the agricultural machinery industry is conducive to the effective integration of the industry, but also conducive to the process of self- accelerated.